Ok, I am finally getting to do one card from the OCC Clean and Simple Cards 3 class I am in! So much fun and so much inspiration, just haven't had time to craft. This card was inspired by none other than Laura Bassen. First time I have tried the plaid technique and my card is as close to one layer as I will probably get. By the time the class is done, I hope to do a one layer card in the purist of form. Great colours! Love this happy, vibrant plaid! Thanks Ardyth! I am a total fan of yours, so appreciate the comment. Great colors on your card! 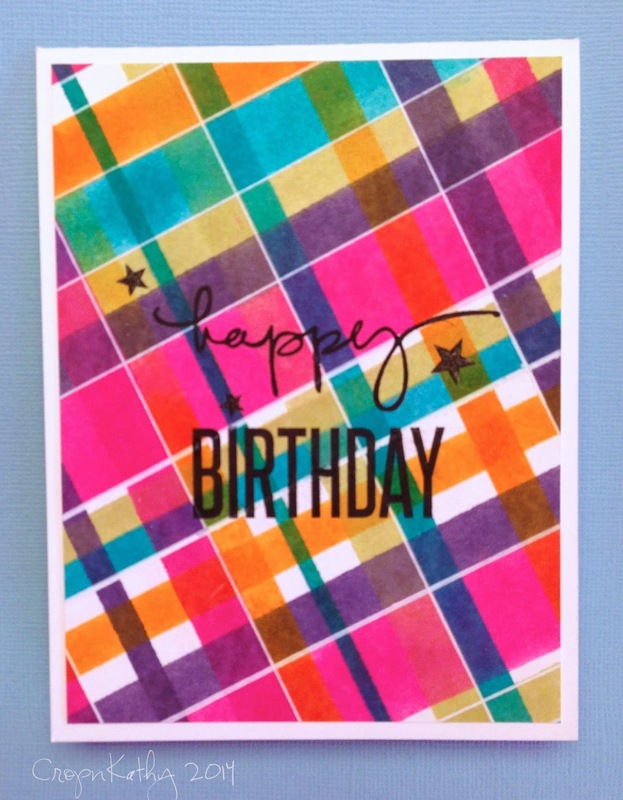 Ooh this card is yummy :) Gorgeous plaid- Do you have a thin white line between each stripe? Very neat! A few more CAS thank you cards!